Art In Motion has grown in its diversity and become a community resource for the Truckee Meadows, Reno and Sparks area. Since its 2003 inception, we have brought affordable dance classes to Reno and Sparks and our excelled competitive teams give dancers more performance opportunities. Dance classes, Regional and National competitions, dance performances and themed birthday parties are all avenues that participants can experience dance. We pride ourselves with our national award winning performance groups. They have excelled regionally and nationally competitively! Since 2005, our teams have performed 40+ performance in the community with our outreach program for FREE! Our instructors have also touched hundreds by giving 20+ free dance classes in the Reno/Sparks area! We pride ourselves in giving back! With 100 dance scholarships received to date and eight given annually, we continually enhance dance education in our cultural community. Our mission statement speaks clearly about our goals, to give participants the wisdom to understand, appreciate, and facilitate the art of motion. Art In Motion’s goal is very clear, to bring the love and art of dance to you! Our qualified teachers will professionally teach your child the fundamentals of movement while having fun. To read about our outstanding instructors, click here. 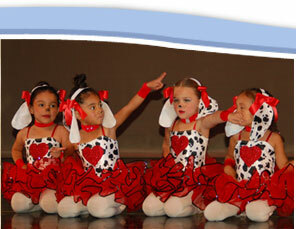 We feel that dance should be accessible and our programs can travel to your location to implement a dance program. For more information on providing dance to your area, contact info@ArtInMotion-Reno.com. 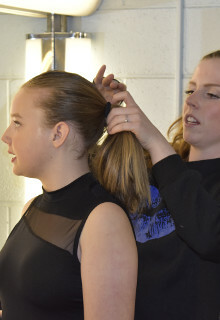 Art In Motion has three elite groups, our teen, youth and junior dancers range from age 5-18. Since 2008, they have already represented Art In Motion in special community events like Sparkï¿½s Hometowne Christmas Parade, SSHS Santa Breakfast, Artown events, Washoe County music festivals and Renoï¿½s Hot August Nights. To become a Performance Group dancer, you must audition in September. If you would like us to dance for you, contact us at info@ArtInMotion-Reno.com. Founder Monique Bowman brings her extensive dance training and background to produce a high quality of dance within Art In Motion’s company. Her passion for dance has made the companies locations and resources grow. Monique Bowman is the owner of Art in Motion Reno LLC since 2003, her education includes, a Bachelors of Fine Arts in Dance from George Mason University, Masters of Fine Arts in Dance Performance from George Washington University. She has studied Laban/Bartenieff Movement Institute of Movement in New York and she has a Dance Educators of America degree from studies in Las Vegas, as well as, receiving her American College Dance Festival certificates for two years of training at Duke University. She has taught dance and choreographed Jazz, Tap, Hip Hop, Ballet, Modern and Creative Ballet for over thirty years. Ms. Bowman was an Assistant Professor and Artistic Director for Mountain Jazz at West Virginia University dance company; She was also an Assistant Professor and choreographer for George Mason University, George Washington University, Montgomery College and Northern Virginia Community College. She has choreographed for various high schools in Alaska, East Anchorage High School and West High School. Ms. Bowman's dance passion started with choreography, with 540 dances preformed on stage in her repertory (and counting). She was inspired to be a choreographer and teacher in the metropolitan area of the District of Columbia. At GWU on a dance scholarship, she auditioned a duet and received her first prestigious National American College Dance Award and has continued to showcase her choreography across the nation, in Maryland, Virginia, West Virginia, DC, Kentucky, Alaska, Las Vegas and Reno, Nevada. Ms. Bowman professionally danced with Ballet company, Alaska Dance Theatre for three years and in Virginia the Modern Dance company, the Claudia Murphey Dance Company for four years. More east coast professional companies, she has performed with are the Jazz and Tap company, Dancin' Unlimited Jazz Dance Company, the three Modern Dance companies are Pittsburgh's own Mark Taylor and Dance Alloy, in DC with both Liz Lerman and the Dance Exchange and Maida Witherï¿½s The Dance Construction Company.